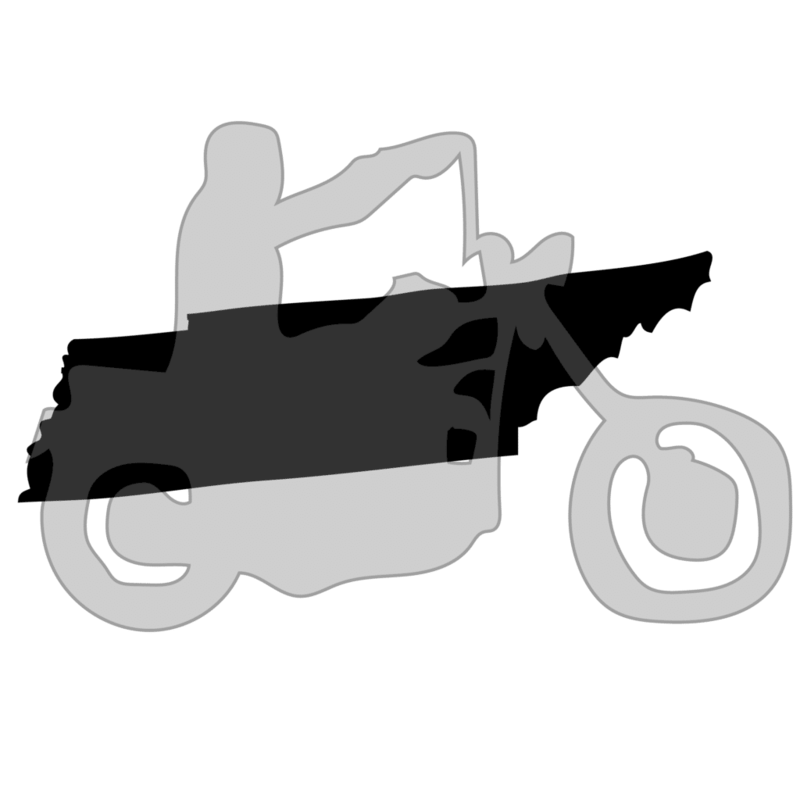 This page will cover the street legal requirements and registration and title process in Tennessee and provide some tips on how to register if you bought the motorcycle without a title. Does Tennessee have an equipment/safety inspection? Does Tennessee require VIN Inspections for motorcycles bought out of state? Does Tennessee require a title for old motorcycles? Proof of ID and residency. Affidavit of Non-Dealer Transfer may be required. Passenger footrest when riding with a passenger. Bought a junked old Honda Dream motorcycle. It was in a broken down shed and the owner of the shed had no idea where it came from or how it got there, other than it had been there for many many years. Terrible shape. I bought it. After a lot of time, money, and effort, it now runs. Runs pretty good actually. It is structurally sound. All safety stuff works, lights, brakes, horn, etc. I don’t have a title. The man at the shed I mentioned has no idea of the last owner or where the bike was last registered and titled. I live in Tennessee. I bought the bike in another state. I want to ride this thing. How do I get a Title (rebuilt, salvage, or whatever it is called)? Hi Samuel – that sounds like a great project. Tennessee does have a procedure for abandoned vehicles (https://www.tn.gov/revenue/title-and-registration/vehicle-titling—registration/vehicle-titling/abandoned–immobile-or-unattended-vehicles.html), however, it doesn’t seem like that’s exactly what you need/want in this situation. Check out the titling & registration procedure for Vermont to see if that could work for you. You can mail in your VT application and transfer it to Tennessee at a later date.